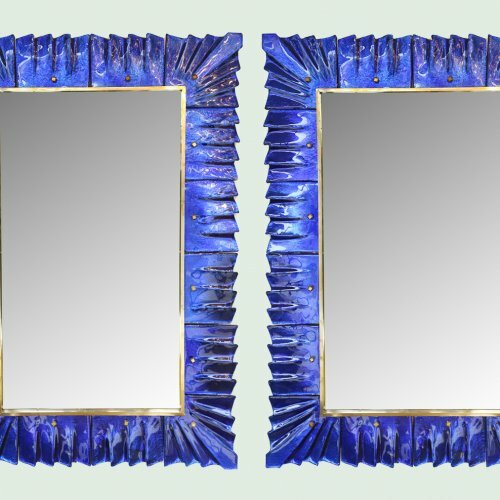 Modern pair of cobalt blue Murano glass and brass decorative mirrors with solid brass cabochon accents. Glass texture and color are absolutely striking. Can be sold separately. Priced per item. Can be hung vertical or horizontal.